Identity Creative were tasked throughout 2018 with creating covers for Estates Gazette magazine on behalf of Wrenbridge. Estates Gazette is a weekly business magazine published for the UK commercial property market and Identity Creative worked on designing two covers, one highlighting their 25th anniversary and the other their sports facility background. 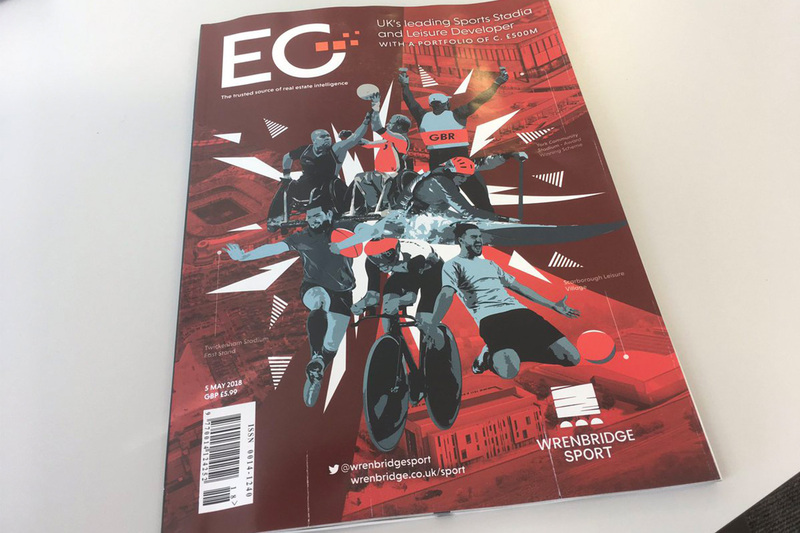 The sports cover depicts a graphic style featuring a multitude of sportspeople with a geometric icon pattern and background images of wrenbridge sites. This modern approach presents Wrenbridge at the forefront of design, and gives a bold and inviting look to the brand. 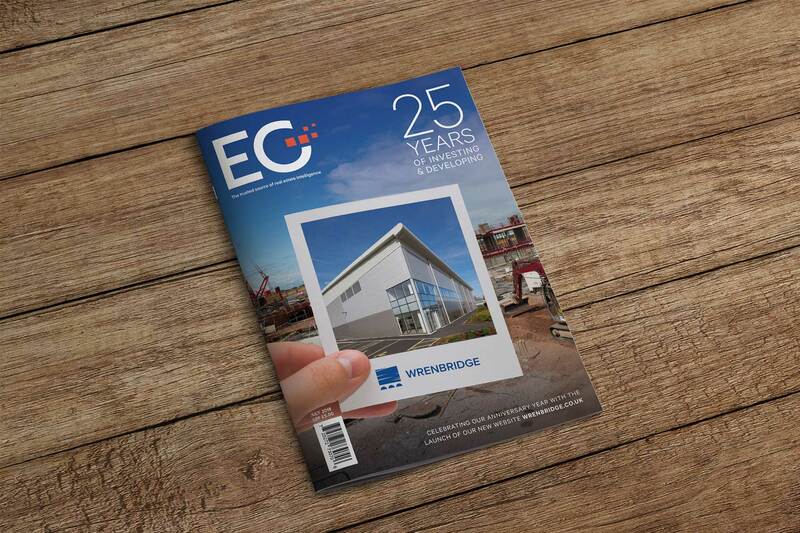 With the 25th anniversary cover, the design features a clean and minimal look, featuring an image of a finished building being held in front of a building site, showing progress and looking into the future.